Title - Feng Shui Mahjong Game Download for PC Description - Try Feng Shui Mahjong, a Puzzle game offered by NevoSoft. Learn the Feng Shui teachings of eastern wise men by matching tiles and utilizing special Yin-Yang tiles. 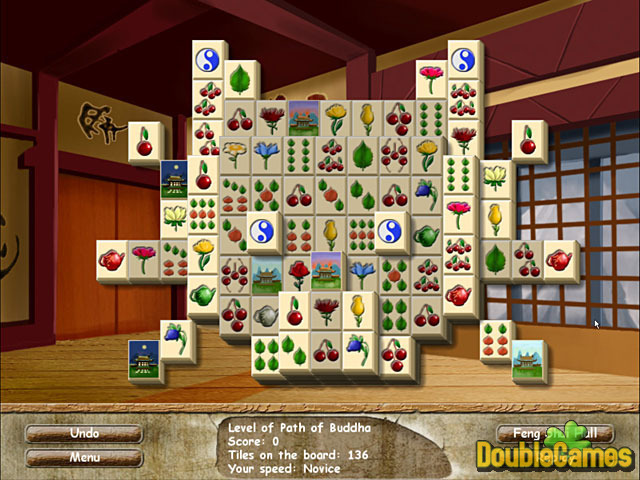 There are three game modes: Path of Sage, Path of Buddha and Path of Action. Path of Sage invites you to enjoy 20 levels with classic rules, unlocking Feng Shui advices with the progress. Path of Buddha Mode is a nice way to relax as you can choose any of 30 levels and enjoy the game without any limit. Path of Action is a new twist of classic mahjong, where tiles appear on the board periodically with increasing speed. You have to match tiles quickly before they overwhelm the board. The game features 48 pieces of advices how to improve the energetics of you dwelling and so on. The atmosphere is fascinating: nice Chinese music, beautiful backgrounds, original pagodas, dragons, lanterns… The graphics is well-polished and bright. Especially we like the Feng Shui Hall, where you will teach the skill of feng shui. 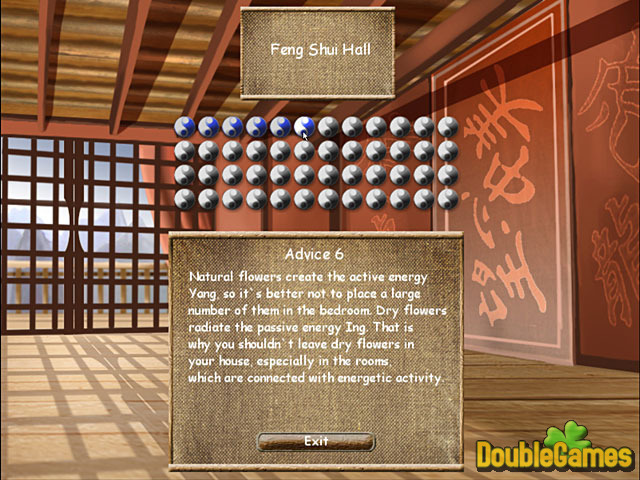 We think this game let you feel the harmony of the mahjong game and Feng Shui wisdoms. It really stops the flow of time and plugs you into the charming world!